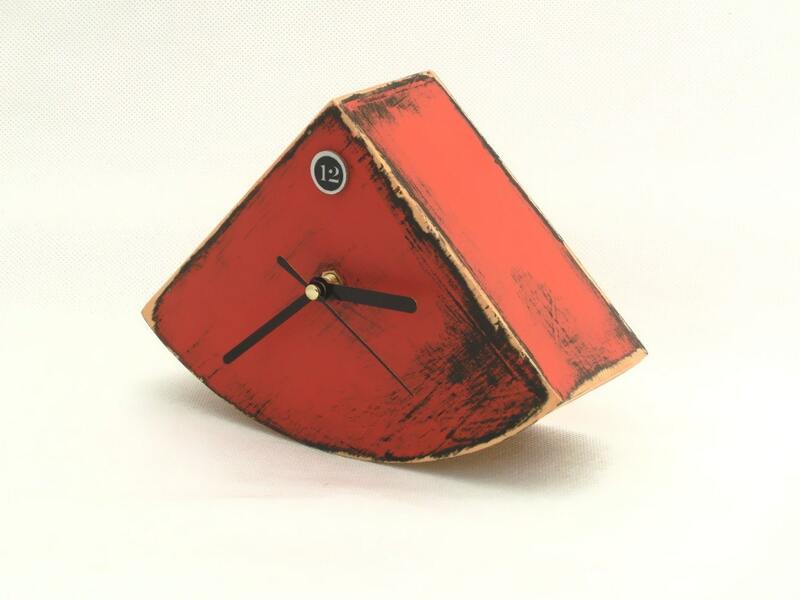 Wood Orange Clock is handmade and handpainted. 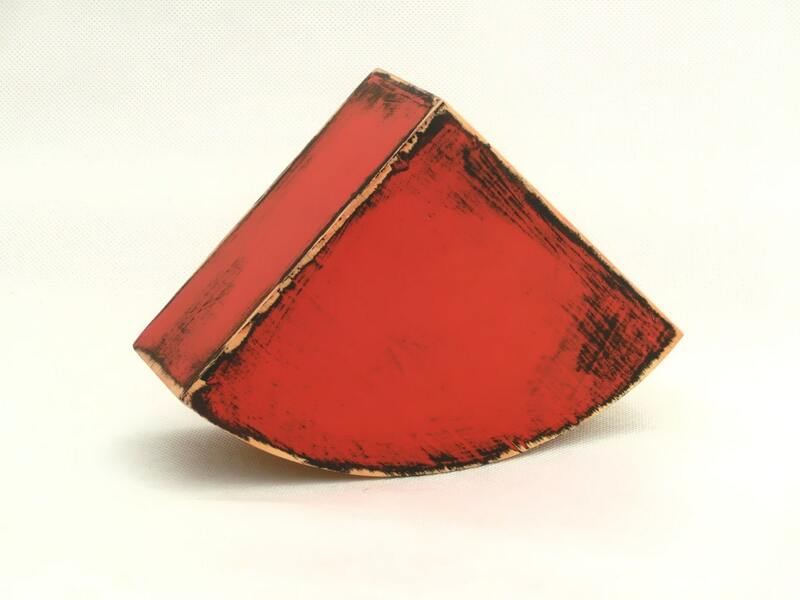 Distressed wood with acrylic paint. 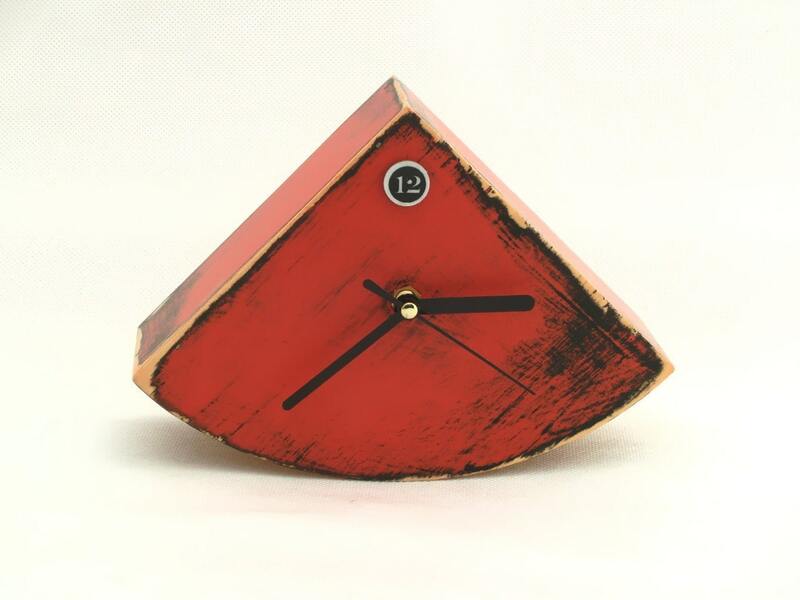 This Table Clock is protected ecological varnish. DIMENSIONS: WIDTH,HEIGHT, DEPTH /20 cm x 14 cm x 6.5 cm. 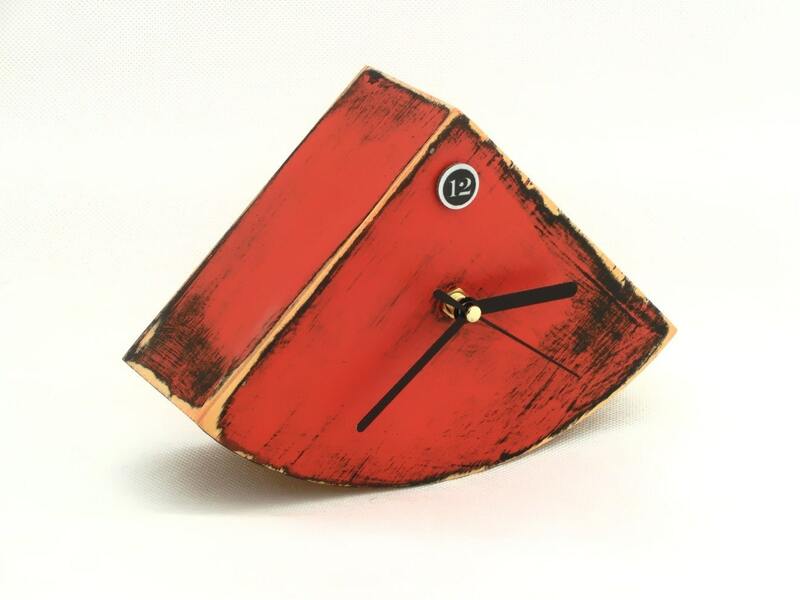 /8" x 5,5" x 2,5"
Absolutely the only such watch entirely made by Clock Wood Studio. This is truly a work of art. I love it!